Why is International Customs Day celebrated on January 26? On January 26, 1953, the Customs Cooperation Council (CCC) convened in Brussels for the first time, bringing together 17 member countries to look at ways of facilitating cross-border trade and travel throughout Europe. The organization grew over time and in 1994, the CCC changed its name to the World Customs Organization (WCO) to reflect the international composition of its membership. Today the WCO provides a forum for communication and co-operation by border management administrations from every corner of the globe. The CBSA shares the WCO’s commitment to securely facilitate the flow of legitimate people and goods. As business and market realities evolve, border management must keep pace to meet the demands of the future. The CBSA is committed to using new technologies to keep legitimate goods and people moving smoothly, surely and securely for the economic benefit of all Canadians. In 2018, the Agency took a number of steps in direct support of SMART borders. To make travel a smoother, more seamless experience, the Agency opened new Primary Inspection Kiosks at Winnipeg Richardson International Airport and Billy Bishop Airport. This allowed the Agency to increase the total number of travellers processed through PIKs to 26 million in 2018. 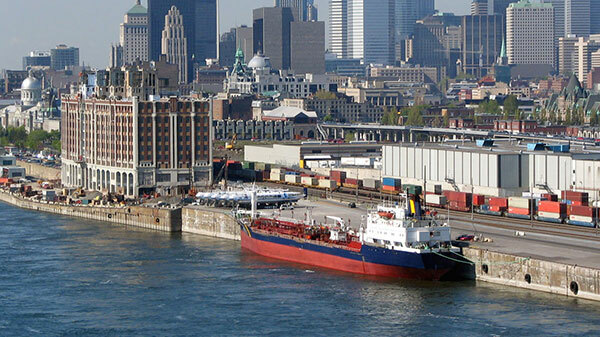 In October, the CBSA partnered with IBM and Maersk on the TradeLens pilot. This initiative will give the Agency the opportunity to take advantage of blockchain technology as a means to improve data quality and secure cross-border transactions. Also in 2018, the CBSA continued its rail cargo pre-screening pilot with stakeholders and U.S. Customs and Border Protection. This project has been a resounding success and will instruct the Agency’s introduction of cargo preclearance in other modes down the road. In 2019, the CBSA will continue to work collaboratively with its partners to support common interests in border security, economic prosperity, and trade and travel facilitation. The Agency will continue to share best practices and offer capacity building and technical assistance to other customs organizations through multilateral organizations like the WCO.